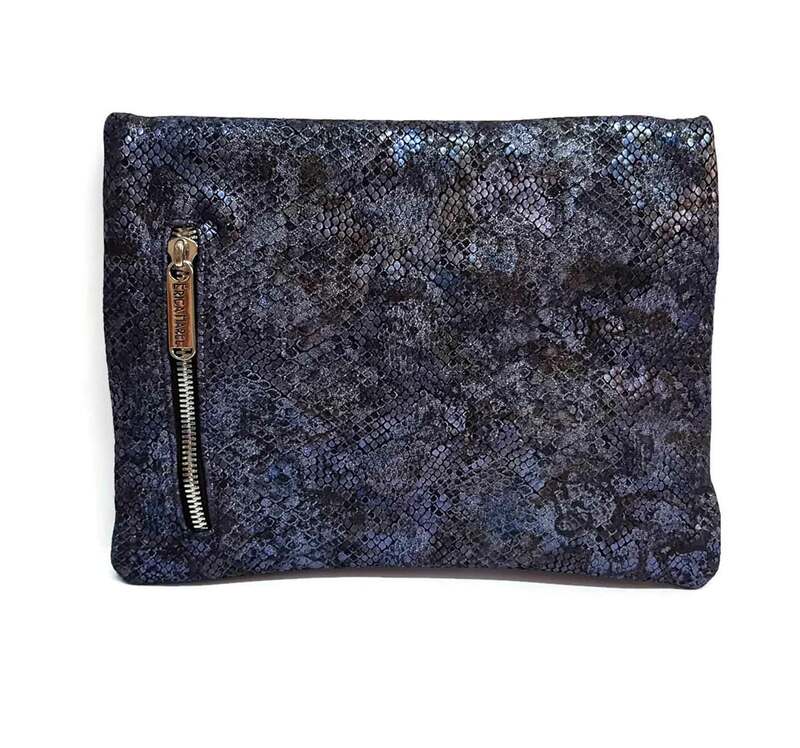 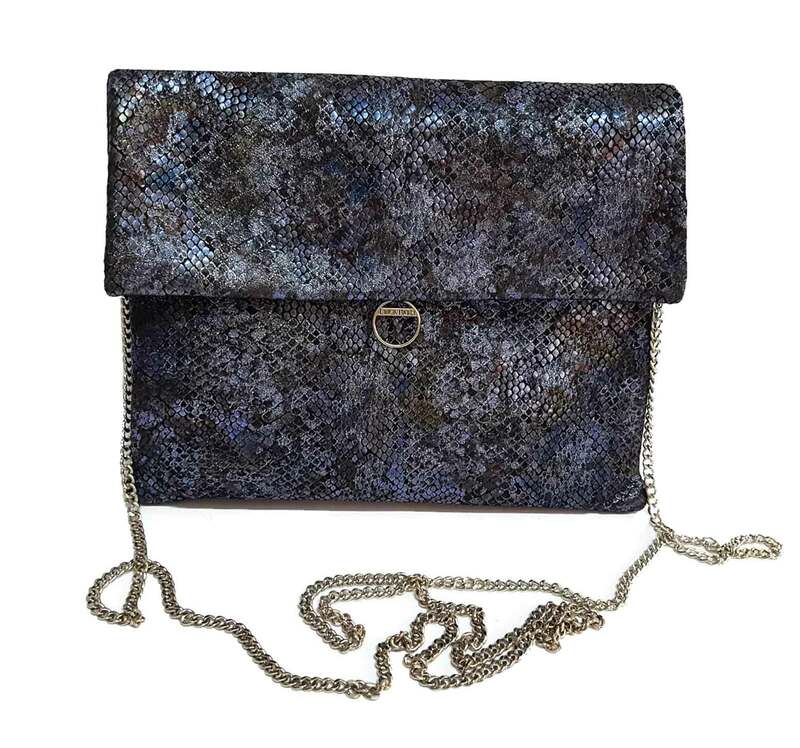 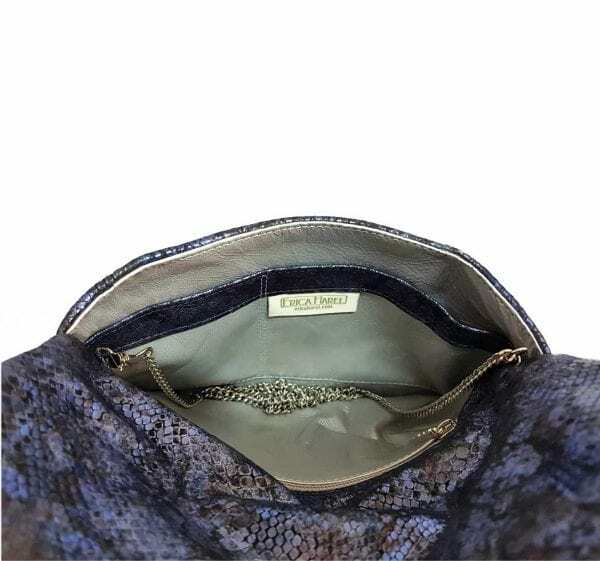 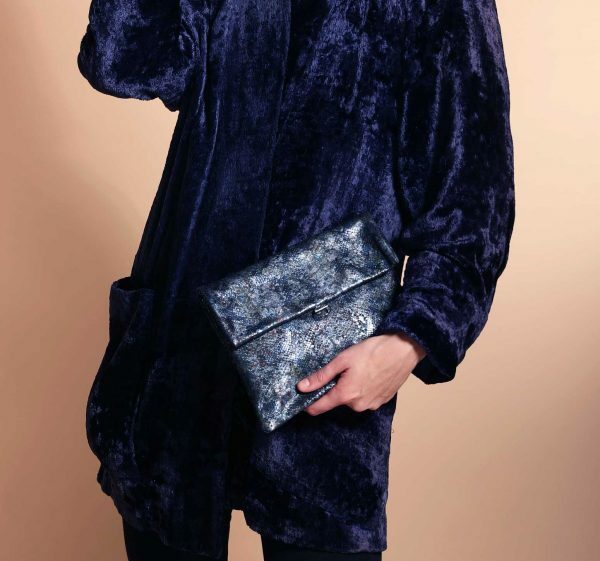 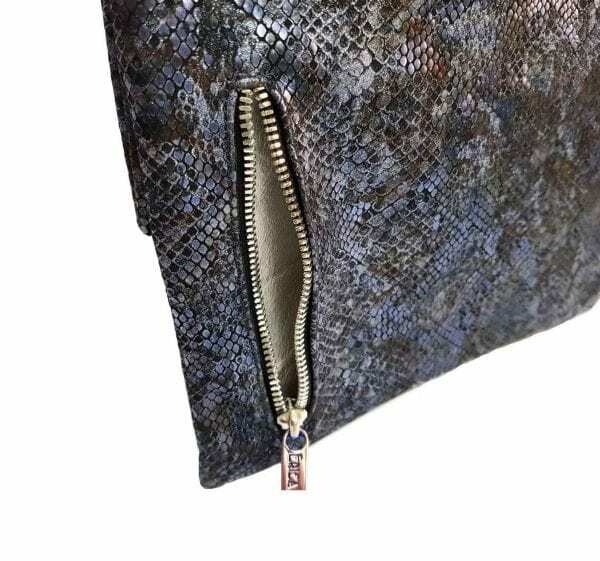 Perfect for an evening out, this stunning iridescent blue envelope Clutch will look fabulous with gray, blue, black and brown. 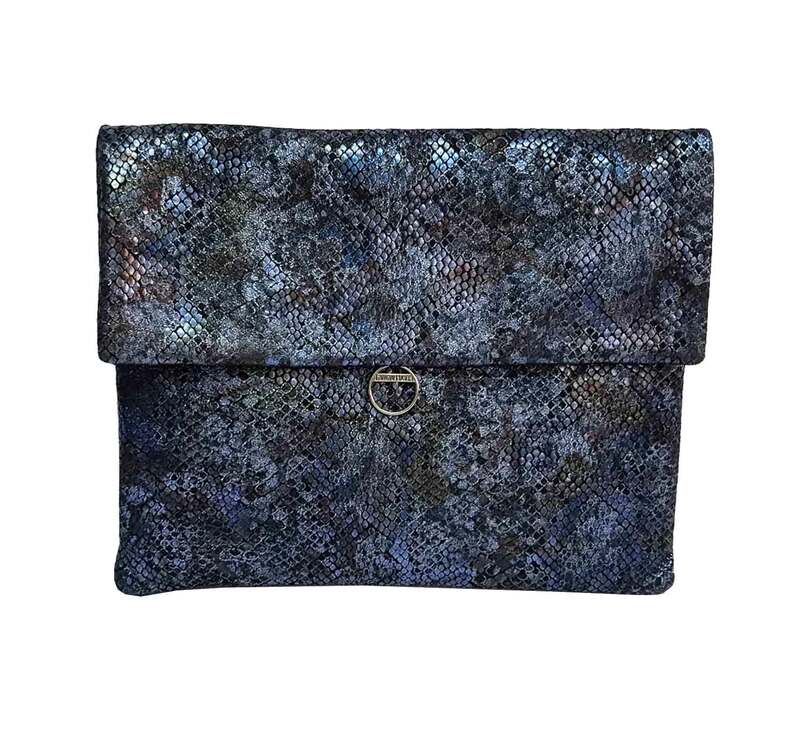 So many subtle shades, it looks like a Tahitian Pearl. The adjustable hideaway chain turns this modular bag from clutch to shoulder bag to crossbody to round-the-waist bag.